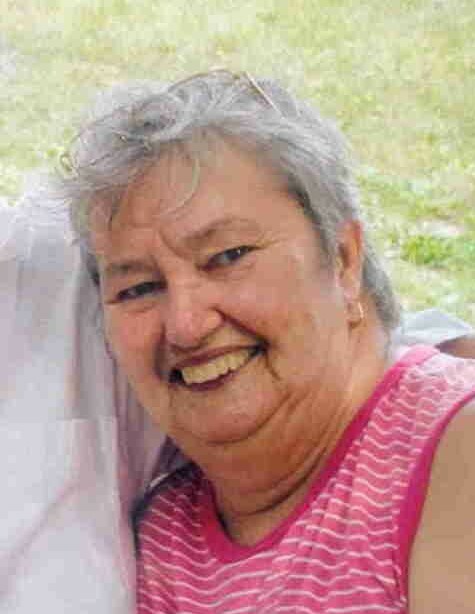 Obituary for Sharon Jane (Rogers) Calkins | Kroeze-Wolffis Funeral Home, Inc.
Sharon Jane (Rogers) Calkins, age 79 of Fremont, passed away unexpectedly on April 10, 2019. Sharon was born to Caleb and Jane Rogers of Spring Lake, Michigan. Sharon married the love of her life, Marvin Calkins on September 24, 1957 in Des Moines, Iowa and were happily married until his death April 20, 2011. Sharon and Marvin moved the family from Fruitport to Fremont, MI. in 1971 where they raised their 5 children on a small farm and were active in the community. She was a 4-H horse leader, assisted with FFA, and was a member of the Women of the Fremont Moose Lodge #1555. She is survived by her children: Jane (Jim) Osburn of Fremont, MI., Ron (Laura) Calkins of Rockford, MI., Vicki (Glen) Morris of Fremont, MI., Debra (Musto) Oumina of Fremont, MI., and Karen (Lon) Kane of Holland, MI. She leaves behind a legacy of 13 grandchildren and 9 great grandchildren. Sharon is also survived by her sister, Sandra (Douglas) Drake. Visitation will be at the Kroeze-Wolffis Funeral Home from 2-4 PM on Monday, April 15, 2019, followed by a luncheon at the Fremont Moose Lodge #1555 until 6:30 PM. In lieu of flowers, the family asks that you donate to the Alzheimer's Association, American Diabetes Association, or the American Society for the Prevention of Cruelty to Animals (ASPCA). You can sign the online guest book at www.kroeze-wolffis.com. Arrangements are by Kroeze-Wolffis Funeral Home, Inc. of Fremont.